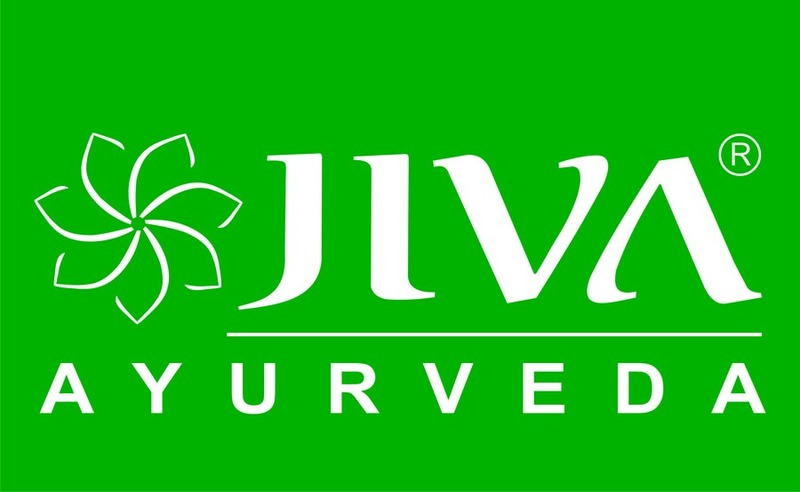 Jiva Ayurveda was founded with the mission of 'taking Ayurveda to every home'. Our objective of making people happy and healthy through authentic Ayurvedic treatment delivered at their doorstep is a direct response to the growing ailments and disorders such as diabetes, arthritis, asthma, obesity, hypertension, spondylitis, piles, skin problems, sexual disorders, etc. Most of these diseases affecting the global community today do not have an effective treatment available in modern medicine.The Jiva Medical & Research Centre, a one of its kind concept in the world, was established in 1998 as an integrated center for telephonic health consultation. Today, Jiva has over 500 Ayurvedic doctors and support professionals who have provided consultations to more than one million patients to date across 1800 cities and towns in India. To ensure quality, efficacy and purity, Jiva Ayurveda manufactures its own medicines and products at its ISO 9001:2015, HACCP & WHO-GMP certified manufacturing unit and pharmacy in Faridabad, India.Jiva has been organizing Ayurvedic educational and training programs for over a decade now. We have trained over 10,000 individuals ranging from experienced Ayurveda practitioners to Ayurveda enthusiasts with very limited knowledge of the science. Dr. Partap Chauhan, Director at Jiva, is an award-winning Ayurveda doctor, author, speaker, and television personality. Dr. Chauhan has conducted numerous workshops and training programs worldwide. Through his interactions with Ayurveda practitioners from across the globe and his immense knowledge of the science he has gained a vivid understanding of what students look for in an Ayurveda course. Based on his experiences and expertise, he has created customized programs that can cater to the sensibilities of international learners. Moreover, he has trained a group of doctors at Jiva who are now conducting these courses and spreading the word around the ancient science of Ayurveda.Jiva's Ayurvedic Clinics and Panchakarma Centers are undoubtedly the future of Ayurveda. These modern centers of wellness offer personalized consultations and are well equipped to provide a range of Ayurvedic treatments to help people stay healthy and seek a permanent and effective cure against diseases. Our main center is located at Faridabad, India, and offers residential facilities for patients who wish to stay with us and get their treatment done. Additionally, we also provide outpatient services through our clinics which are strategically located across Northern India. Jiva Medical & Research Centreis one of the leading Ayurveda treatment centres across the globe. They started with the mission to bring Ayurveda at every door step, and has successfully accomplished the same in the past years. With more than 80 clinics and 300 products, Jiva Ayurveda has touched more than five million lives. The doctors at Jiva Ayurveda are the first ones in the world to apply artificial intelligence (AI) and machine learning for treating hundreds of growing ailments and diseases. The professionals at Jiva expertise in delivering accurate, personalised, and root-cause treatment for several diseases like diabetes, arthritis, asthma, obesity, hypertension, spondylitis, skin problems, and sexual disorders among others. Their treatment comprises a holistic combination of herbal medicines along with a diet chart and lifestyle advice. The foundation of Jiva Medical & Research Centre was laid in the year 1998 as an integrated centre for telephonic health consultation. There has been no looking back since then, as they have around 500 Ayurvedic doctors along with skilled professionals who have been catering to millions of patients across 1800 cities and towns in India. With the launch of modern centres of wellness like Jiva’s Ayurvedic Clinics and Panchakarma Centres, Jiva Ayurveda has raised the bar of Ayurveda treatment across the globe. Jiva Ayurveda manufactures its own medicines and products at its ISO certified manufacturing unit located in Faridabad. The doctors at Jiva are highly qualified professionals, who work with dedication to heal the patients and look after towards their well being. These doctors not only provide personalized and effective services to the patients but also help them with proper diet chart and lifestyle changes. The passion of doctors at Jiva Ayurveda has helped them to reach at the level, where they are counted amongst the world’s leading Ayurveda treatment companies. With the tertiary level of the treatment provided, Jiva Ayurveda has patients from all over the world. The Jiva staff, along with medical assistance, provides administrative help as well to the international patients through specific packages. These packages consists of airport pick and drop facilities, free internet access, stay at Jiva guestroom, personalised treatment by Jiva doctors, meals, and a representative to help with other requirements.International visitors also come to seek Ayurvedic training at Jiva centres. Jiva Ayurveda, Noida boasts about its centre of excellence in scar removal surgery and trichology. The doctors at Jiva Ayurveda, Noida are qualified professionals in their specific field. Dr. Pushpendra Shukla holds extreme knowledge in Ayurveda and Dr. Abhilasha Tiwari holds nine years of experience in the field. The key procedures provided at Jiva Ayurveda, Noida include services like allergy treatment, asthma treatment, wrinkle treatment, viral fever treatment, erectile dysfunction treatment, skin tag treatment, Ayurveda diabetic treatment, and Ayurveda obesity treatment, among others. They help in-development and nutritional assessment also. The main centre of Jiva Ayurveda at Faridabad offers residential facilities. Jiva offers services to outpatients as well along with offering at-door medicine services. Jiva also offers online services for a hassle-free experience.